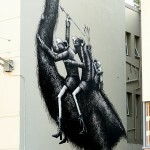 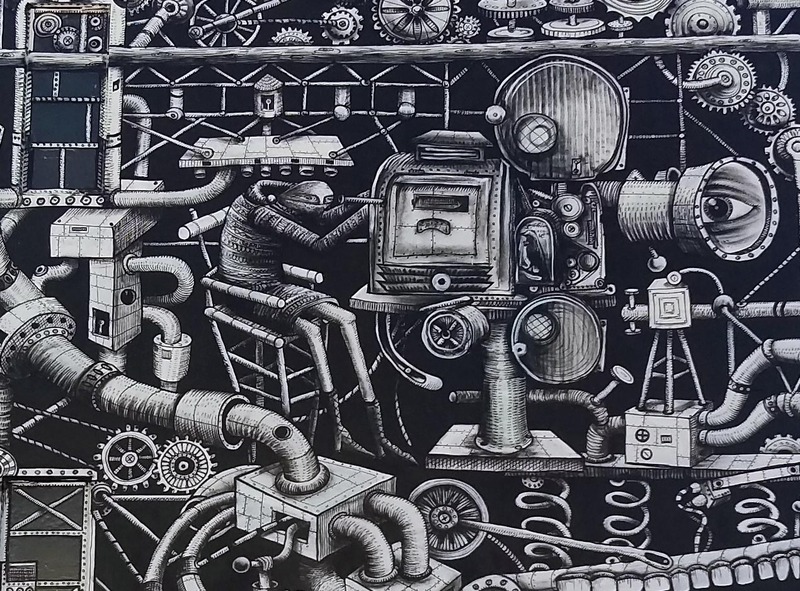 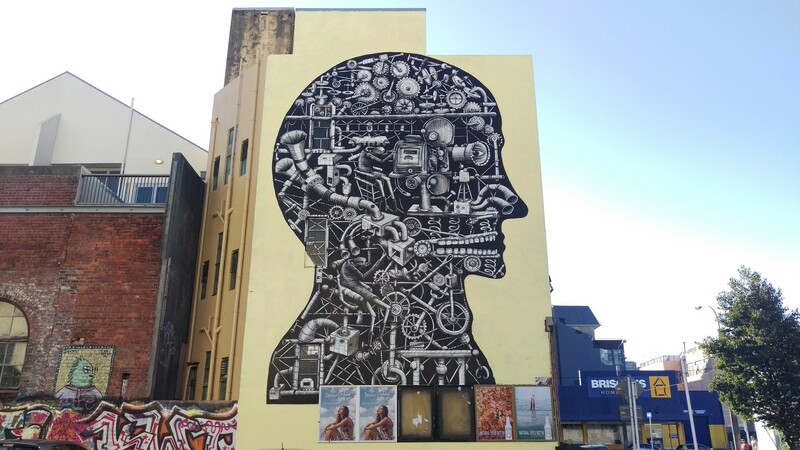 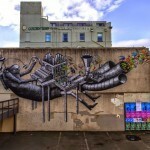 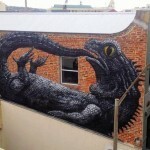 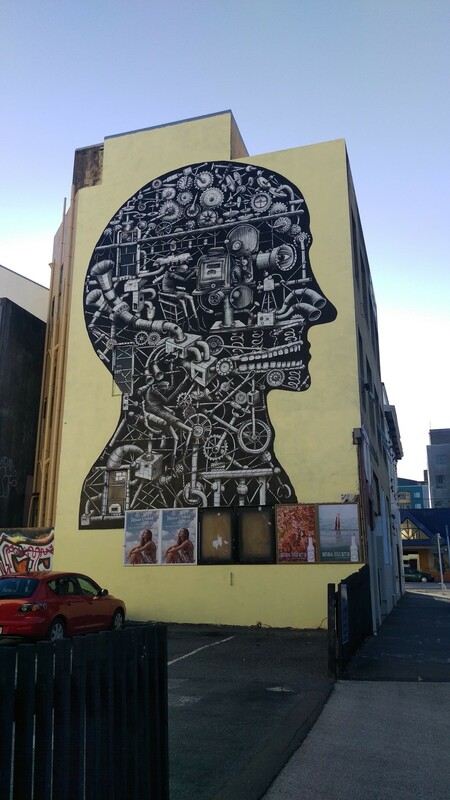 Phlegm is currently in New Zealand where he was invited to bring his magic to the lovely streets of Wellington. 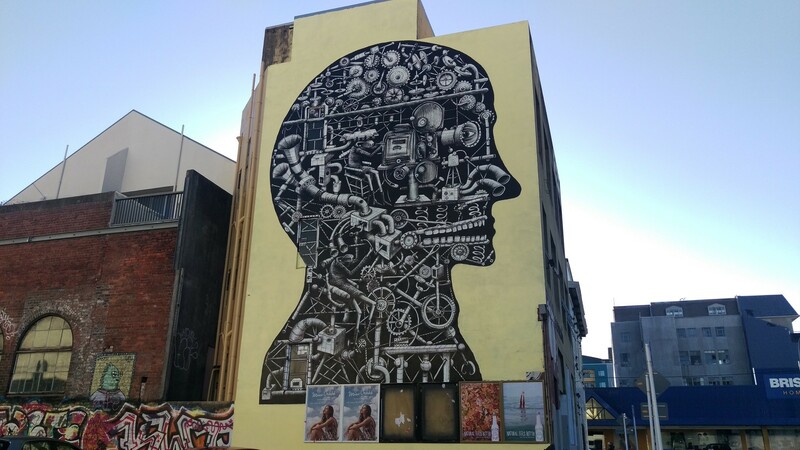 Painting for the Wellington Street Art event, the British artist created some of his signature imagery for the locals to enjoy. 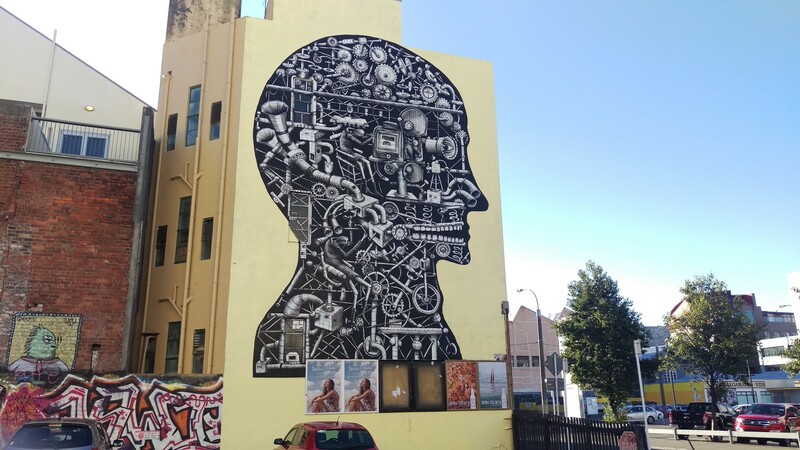 The building he painted made sound heads for movie projectors. 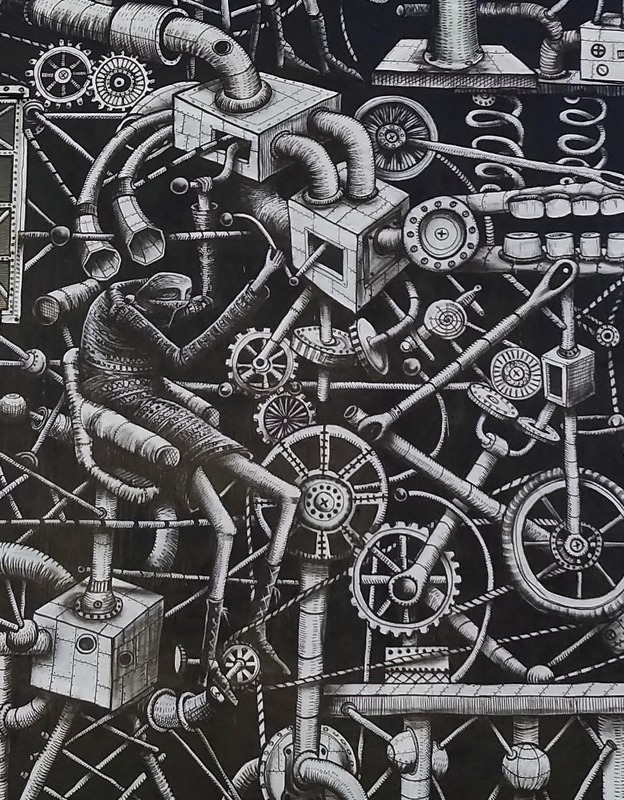 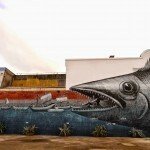 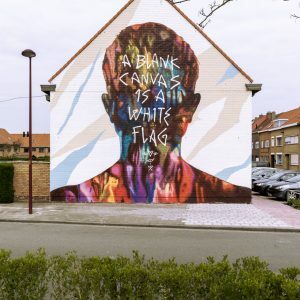 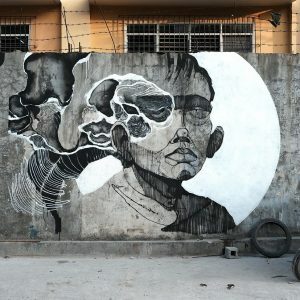 The building owner still had one of these that he was able to copy for this mural.